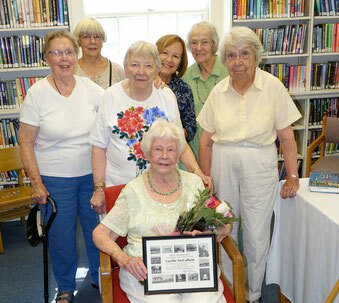 The Friends of Whelden Memorial Library is an organization dedicated to supporting the trustees and library staff. The Friends endeavor to provide extra programs and services for West Barnstable residents and other users of our library. Over the years, they have provided the library with a copy machine, new carpeting, a circulation desk, air conditioning, new computer equipment, the display case for the DVD collection, museum passes, the annual membership for CLAMS OverDrive digital audio and eBooks and many other items. The Friends host a wonderful holiday boutique in November, in addition to other activities. The Friends, affectionately known as "F.O.W.L.," are always willing to lend a hand in any way they can to support the library. They meet at the library on the 2nd Friday of the month at 10:00 am. Our Bookstore in CLOSED for the season. Thank you for all your support and continued patronage. Come visit us for some great deals on hardcover books, paperbacks, CDs, puzzles, children's books, toys and other various treasures in the Spring! Open date will be posted in the Newsletter (link is on the Home page of this website).